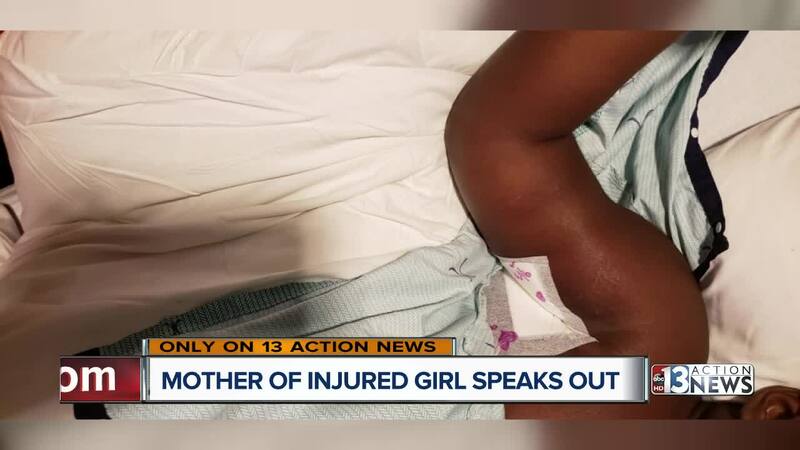 LATEST: The family who came under fire is speaking to 13 Action News about the terrifying ordeal near Tropicana and Spencer Wednesday night. They do not want to be identified until there is an arrest in the case. According to the mother, the 7-year-old girl is awake and talking. "I've seen the video, and when I see it, it's just a flashback," she said. The mother explained how the incident started. "The guys walked behind the car as if they didn't see the car backing up," she said. She told the driver, her children's father, to watch out. In response, she says he made a comment to the two pedestrians. "He said, um, y'all don't see this car backing up," she said. That's when she says one man opened fire. Her 7-year-old daughter was hit once in the back. Medical help just happened to be seconds away. "That is like amazing that the paramedics were right there," she said. This story is a warning about how simple words could put you into so much danger. The family is pleading for anyone with information to come forward. A friend has created a GoFundMe page to help cover hospital expenses. We will continue to follow the story of this family. 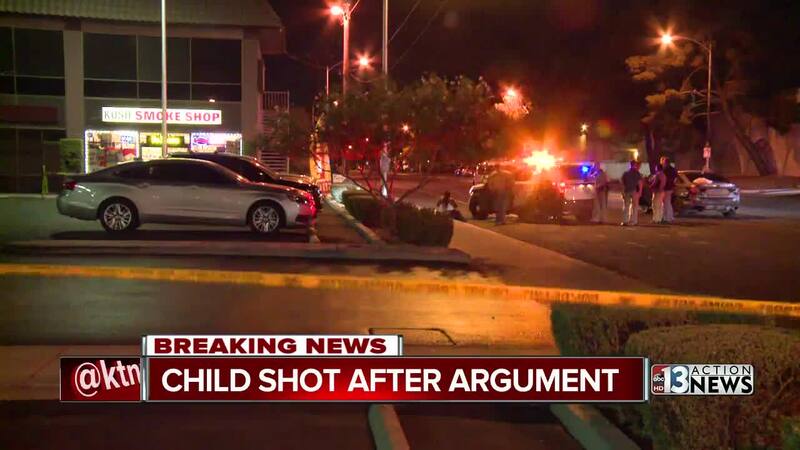 ORIGINAL: Las Vegas Metropolitan Police officials say a 7-year-old girl was shot in the back after her father got into a verbal argument with individuals in a local business parking lot. The family of four was parked in front of a business in the 1800 block of Tropicana Avenue, near Spencer, at around 7 p.m. Wednesday. That is when the father got into the verbal altercation with two individuals who were on foot and one of them opened fire on the family's car. The child was transported to Sunrise Hospital and is expected to survive. The suspects are still being sought by police. Police released images of the men and surveillance video on Thursday.